This is Nicholas's breakdancing pose. He's pretty advanced for his age. Nicholas is 3 and a half months old. I'm not sure where the last 3 months of my life have gone, but I can tell you where all the milk that Nicholas has been drinking has gone - right to his thighs and wrists. Yup, wrists. I never knew wrists could have rolls, but they can. And they do. Last night someone asked me if he was 5 or 6 months old. I wasn't mad, I was actually really happy. At Nicholas's age I looked like I should still be in the womb, so I'm happy he's so chubby. 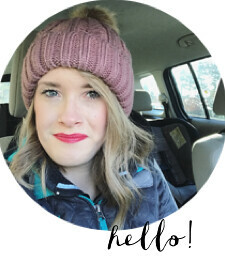 A fun trait that comes with being almost 4 months: the beginning of teething! Hooray for drool, hands constantly in his mouth, and (almost) sleepless nights. The one thing that I actually don't mind too much about teething though is that Nicholas is finally showing interest in playing with toys! (I know it's his age, not the teething, but the toys I have for him at this age are perfect for putting in his mouth.) It's amazing how quickly babies change, and it's so fun to watch your child begin to explore things. Let me show you his (and mine) favorite toys. One thing most of them have in common - they can be easily shoved into a mouth so that sore little baby gums can have some relief. At first I didn't want to believe how great this toy is. 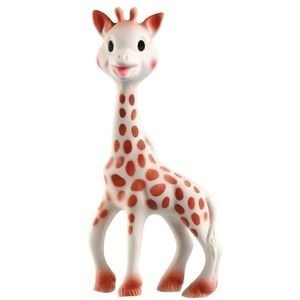 I mean, what's the hype about a BPA free giraffe that squeaks? 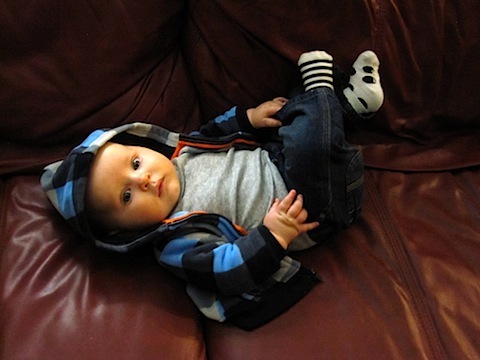 It's all the rage with celebrity babies and I am just not one for hype. But I have joined the Sophie club. The neck and legs are the perfect size for babies to grab and hold on to, and pretty much everything is great to chew on. Plus it's small so it easily fits in my diaper bag. I'm sorry I doubted you Sophie. Again, I doubted these teething rings before I opened them. They say they smell like vanilla, and everything plastic that supposedly smells like vanilla is usually disgusting. But I was wrong. These BPA free teethers smell SO good! I want one for myself. Not really, but almost. They are a dense but soft plastic so it's ok if Nicholas smacks himself in the face with them - but they are hard enough to chew on. They are a great size to hold and don't take too much coordination. 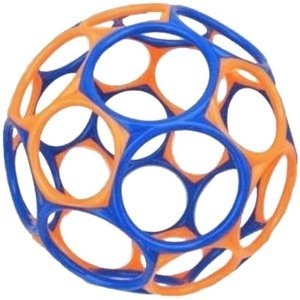 This flexible plastic (BPA free) ball comes in a few colors. I love it for Nicholas because babies practically don't even have to try to hold it. There's so many big holes to stick his fingers in that Nicholas unintentionally holds it and swings it around for quite awhile. It is pretty funny to watch him try to put it in his mouth. It doesn't fit. 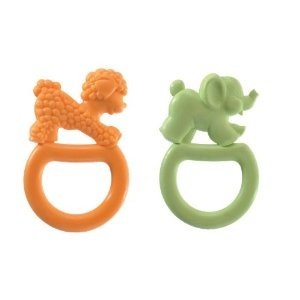 Does anyone have any teething toys or 0-6 month age toys they love for their babies?